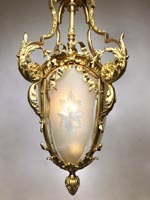 A Very Fine French 19th-20th Century Louis XV Style Pear-Shaped Gilt-Bronze and Diamond-Cut-Bent-Glass Lantern. 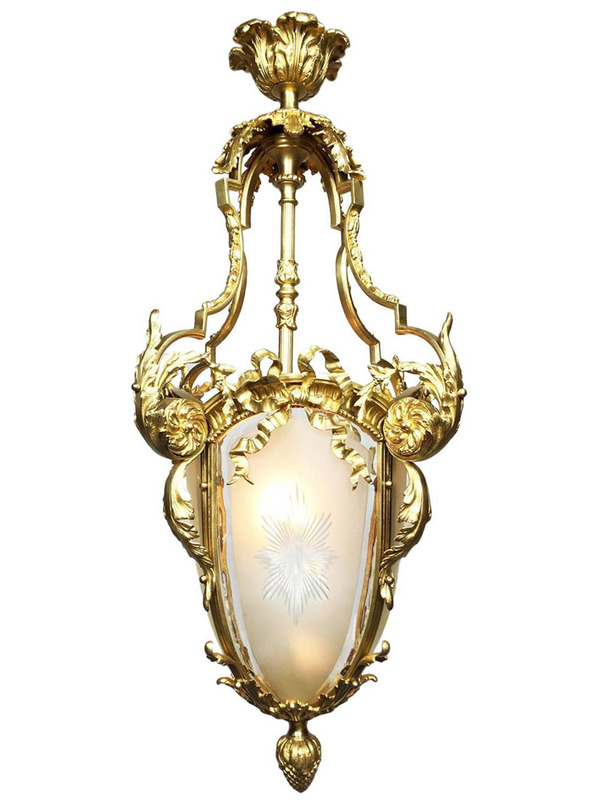 The ovoid gilt bronze body with a single light, surmounted with three glass panels centered with a sunburst design. 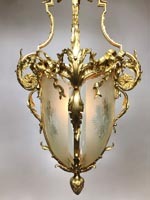 The scrolled gilt bronze body with scrolls, acanthus, rosettes and leaves, each panel crowned with gilt bronze bows and ribbons, the bottom decorated with an acorn, Paris, circa 1890-1900.